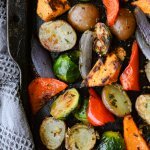 Pan Roasted Brussel Sprouts have now become a sophisticated side dish for your dinner party or Holiday table. The blue cheese and Medjool dates complement the Brussel Sprouts in such a way that gives this dish an added dimension of flavors and textures. Your guests will definitely be asking for seconds. I think the first time I had ever tasted Brussel Sprouts (at least that I recall liking) was probably 10 years or so ago. The smell alone was enough to drive you out of the house. Who in their right mind would put something in their mouth with such an obnoxious odor? Then one day when we were out eating with friends, they ended up ordering Brussels Sprouts as an appetizer. Just for the sake of being polite, I tried them. The tangy cranberries and crunchy nuts that accompanied these little odoriferous green things gave me a whole new tasting experience and enlightened me with a fresh perspective. It was that day I began to like them. 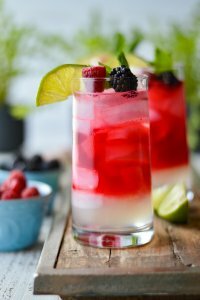 This recipe is an easy preparation. From start to finish this dish can be on your table in 30 minutes. It takes very little prep time and you’ll be amazed at how simple it is. The presentation of this dish is gorgeous. Any beginner cook can throw this together and make it look as if it’s from the kitchen of a fancy restaurant. It’s that pretty and impressive. Pan roasting captures the wonderful taste and texture of Brussel Sprouts. 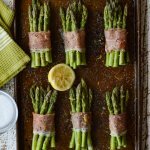 If you’ve had steamed or boiled Brussel Sprouts in the past, they were probably limp with a bitter taste. And you probably swore you would never eat them again. But pan roasting gives you a tender yet slightly crisp texture and the caramelization on the sprouts enhances the taste and removes the bitterness. Medjool dates and blue cheese are the perfect combinations for Brussel Sprouts. 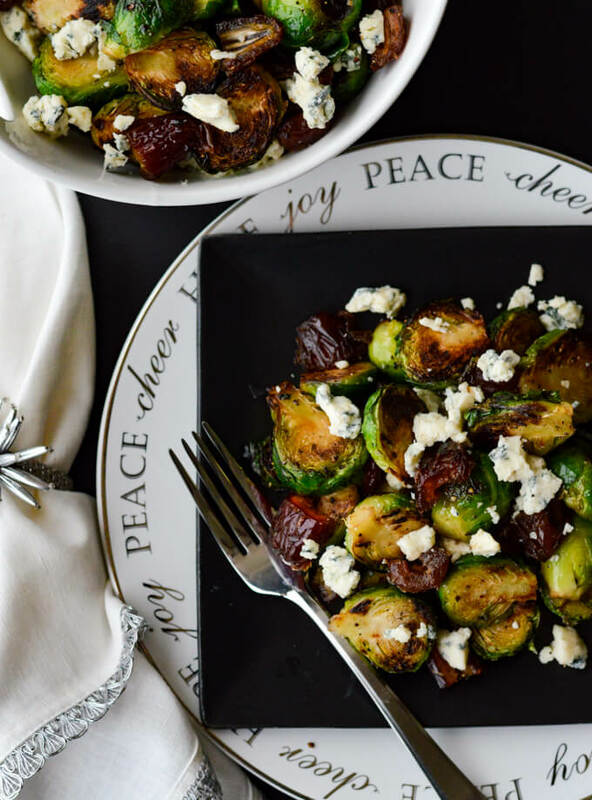 When Brussel sprouts are paired with the salty, sharp taste of blue cheese and the sweet, candy-like flavor of dates, it creates a wonderful harmony in the food world. How to choose the best Brussel Sprouts. Always go for fresh vegetables if you can. 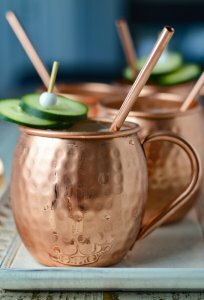 These will last in your refrigerator for about a week. When you’re picking Brussel sprouts, choose the smaller ones because they are sweeter. The larger ones are more bitter. Also, look for those that are firm, tightly compacted and are bright green. Medjool Dates brings a sweet balance to the dish. What a delightful little jewel that we’ve added to the Brussel Sprouts. In my opinion, it is what makes this side dish so delectable. And who doesn’t love “sweet” and “salty” together? You’ll need to pit the dates first. With a paring knife, slit the date lengthwise and you should feel the knife hitting the pit. Open up the date and remove the pit. Super simple. For this recipe, I quartered the dates. 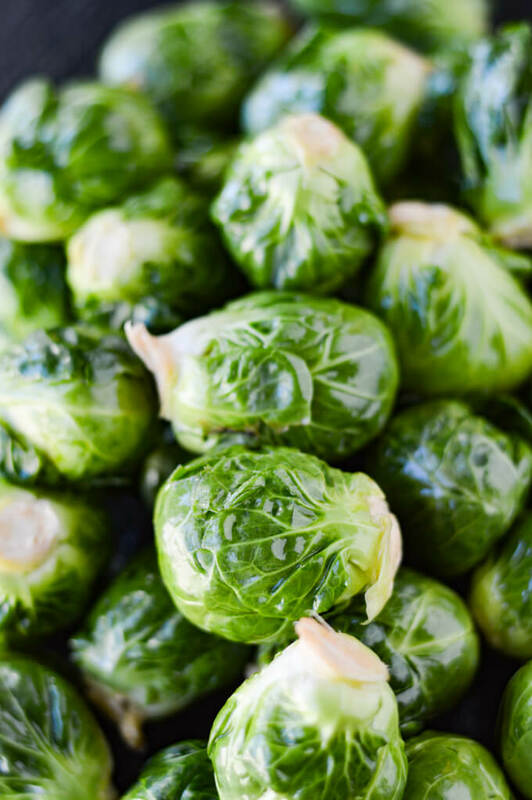 One of the best ways to get the Brussel Sprouts to a perfect tender texture is to parboil them before pan roasting. Bring a large pan of salted water to boil, add the Brussel sprouts and cook for 2 minutes. 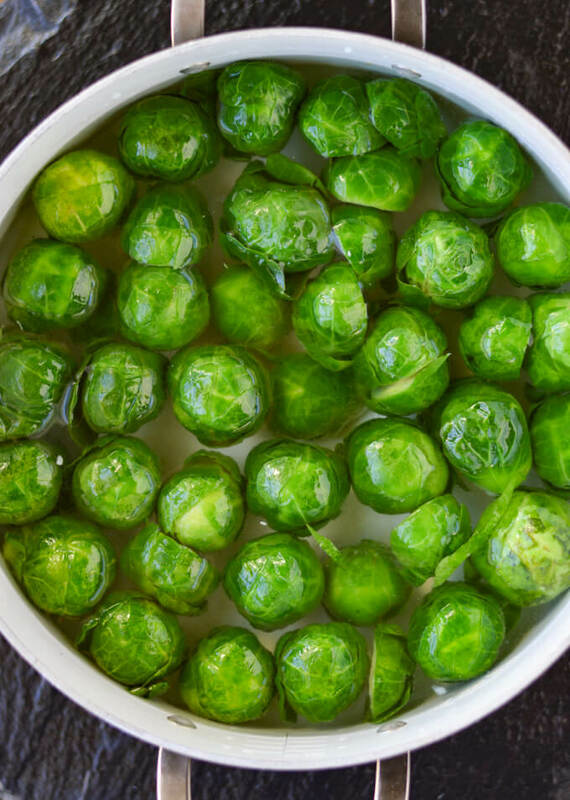 Drain and place the Brussel sprouts on a dish towel and pat dry to remove the excess water. Trim the stems to remove any toughness and cut the Brussel sprouts in half lenghtwise. Pan roasting the Brussel Sprouts. Heat a large cast iron skillet over medium-high heat until hot. Add olive oil and place the Brussel sprouts cut side down in a single layer giving them room between each other. Otherwise, you will just steam them. You will probably need to cook in batches depending on how many you are making. The key to any vegetable is to not overcook them. They should be bright and rich in color, and never mushy. Otherwise, you’ve just cooked all the nutrients and flavor out. Season with salt and pepper and cook for 3-4 minutes on each side until they are charred and tender. This is when you get the beautiful caramelization which makes them so incredibly yummy. Remove them from the pan and set aside. 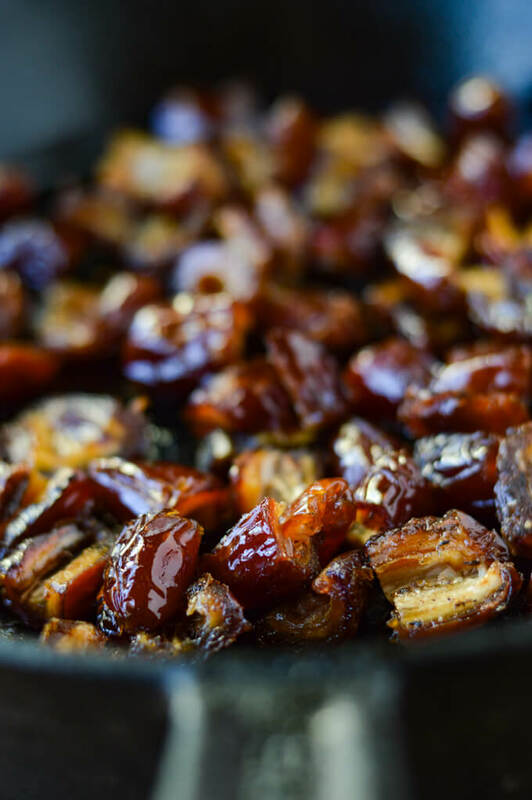 In the same cast iron pan, turn the heat down to medium and add the quartered Medjool dates. You only want to warm these. Therefore cook them for only about 2 minutes and stir continually while they are in the pan. If you cook them too long they will become hardened and crystallized. You’re looking for soft and chewy. Remove the skillet from the heat and add the Brussel sprouts back into it with the dates. 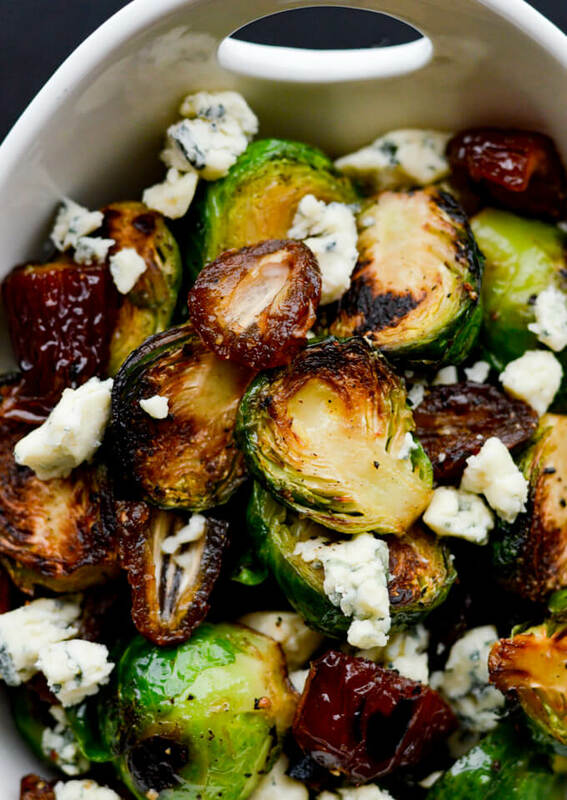 Transfer the Brussel sprouts and dates to a serving bowl and toss with blue cheese. And there you have it. A very quick and easy but elegant side dish that any entree would be honored to sit next to on your dinner table. 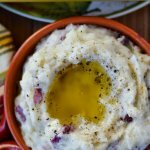 If you’re looking for some other fantastic side dishes for your dinner table, click on the links below. Pan Roasted Brussel Sprouts have now become a sophisticated side dish for your dinner party or Holiday table. 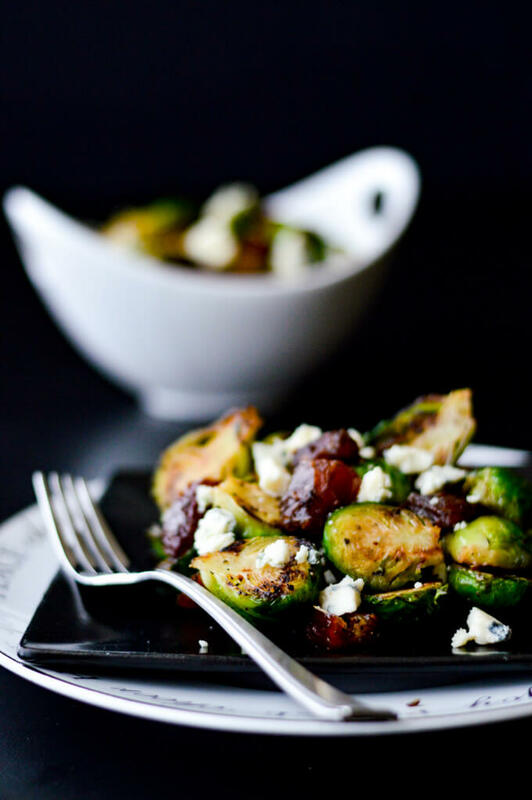 The blue cheese and Medjool dates complement the Brussel Sprouts in such a way that gives this dish an added dimension of flavors and textures. In a large saucepan, bring 4 quarts of salt water to boil. Add salt and Brussel sprouts and cook for 2 minutes until they are bright green and slightly softened. Remove from heat and drain in a colander and place on a dish towel to remove any excess water. Cut each Brussel sprout in half lengthwise. Sprinkle salt and pepper (to taste) on Brussel sprouts. Over high heat, add 1 tablespoon of olive oil. Cook in three batches. 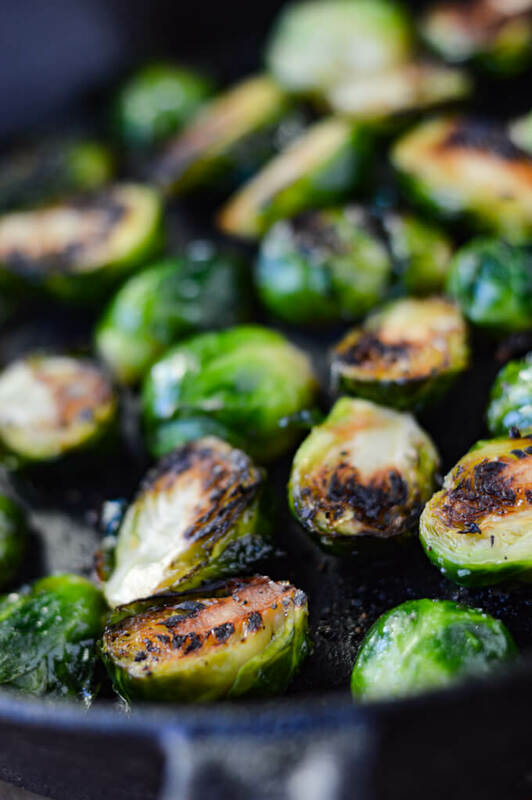 When the oil is hot, add one single layer of Brussel sprouts (cut side down) and cook for 3-4 minutes on each side until charred and tender. Continue with olive oil and Brussel sprouts until all are cooked. Remove each batch and set aside. In the same skillet, turn the heat to medium and add all the quartered Medjool dates. Cook for about 2 minutes until warm, stirring constantly. Remove the skillet from the heat and add the Brussel sprouts back into the pan. 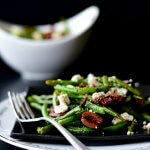 Transfer the Brussel sprouts and dates to a serving dish and toss with the crumbled blue cheese. When you’re picking Brussel sprouts, choose the smaller ones because they are sweeter. The larger ones are more bitter. Also, look for those that are firm, tightly compacted and are bright green. Fresh Brussel sprouts will store in your refrigerator for about one week. Pit the dates a paring knife. Slit them lengthwise. You should feel the knife hitting the pit. Open up the date and remove the pit. One of the best ways to get the Brussel Sprouts to a perfect tender texture is to parboil them for about 2 minutes before pan roasting. 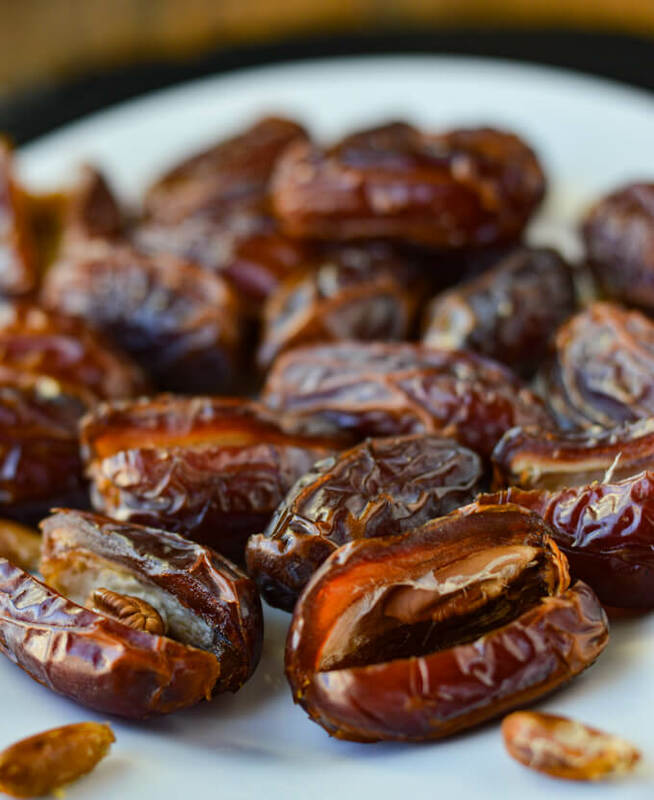 If you cook the dates too long they will become hardened or crystalized. You’re looking for soft and chewy. 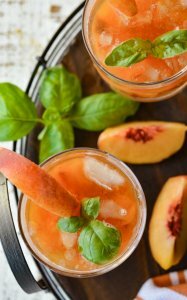 Wow, talk about flavor in this recipe! 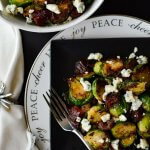 Love the combination of sweet dates with nutty brussel sprouts and pungent blue cheese…yum!!! Thanks for stopping by, Carrie!! I think my favorite part of the dish is the sweet dates. They just bring everything together. I like the idea of adding dates to your brussel sprouts, it add so much sweetness. You have a wonderful blog. Thanks a bunch, Gerlinde! So appreciate you stopping by. It’s nice to hear from you and I do agree that the dates are a tasty addition.